Mutations are heritable changes in an organism’s genome. On an evolutionary scale, mutations are the source of variation upon which natural selection works. On a human scale, mutations give rise to birth defects, genetic diseases, and cancer. 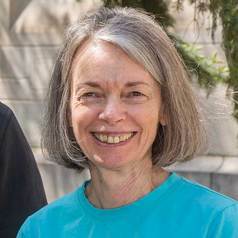 Using the bacterium Escherichia coli as a model system, Patricia Foster's laboratory employs genetic and molecular techniques to investigate the molecular mechanisms by which mutations arise spontaneously and as a result of DNA damage.